Petflect's Reflective Team Spirit LSU Dog Collar is made from 1" black nylon webbing with a tensile strength of 2,200 lbs. Fashion and Function, all while supporting the LSU Tigers! Get the best of both worlds with a 5/8" ribbon featuring a college team pattern overlaid on a 1/2" silver reflective strip that can be seen from 680 feet away. The hardware was chosen for elite performance and durability. Adjust the collar's length once and you are done as a durable plastic tension lock holds the collar in place. The plastic side release buckle is both secure and convenient. Secure because it is engineered with 2 security tabs to guarantee no collar opens unintentionally. Convenient because the buckle's design allows owners to release the collar with one hand. A steel, heavy welded D-ring is sewn into the collar for leash connection. 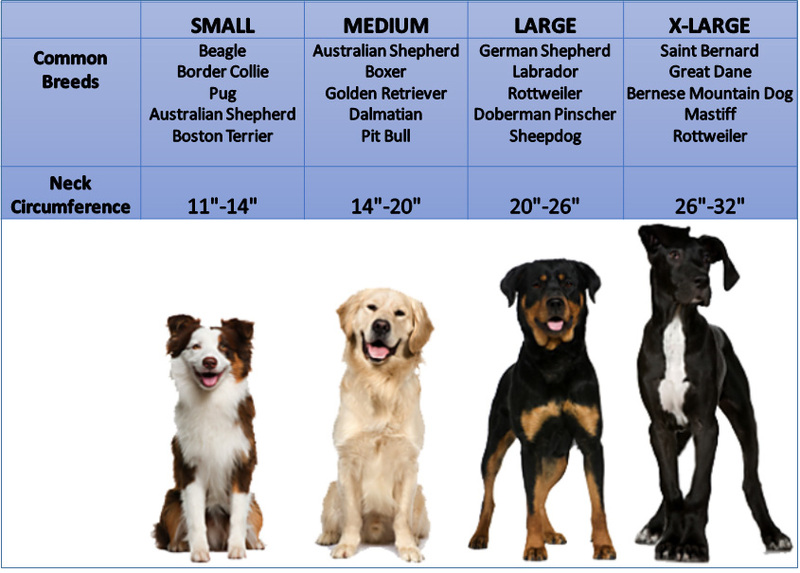 LSU dog collars are sized to fit dogs up to 150 lbs. Small: 11"-14", Medium: 14"-20", Large: 20"-26", X-Large: 26"-32". Sports team dog collars and pet accessories are manufactured by Petflect in North Carolina! And for football enthusiasts, we also offer NFL dog collars.